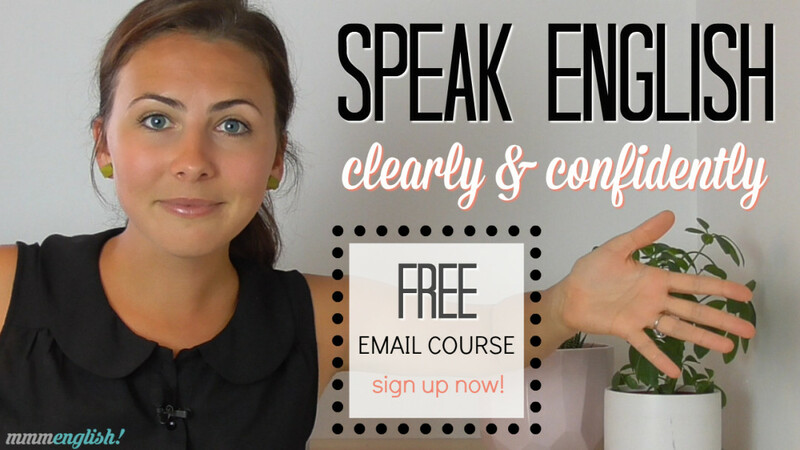 This lesson is PART 2 of a series of English lessons created to help you reduce your accent and speak naturally in English. This is SO IMPORTANT to build your confidence speaking using English and increase your fluency. Understanding linking and connected speech in English will help you to improve your pronunciation AND your listening skills, so that you can understand fast-talking native speakers! Well hey there! I’m Emma from mmmEnglish. 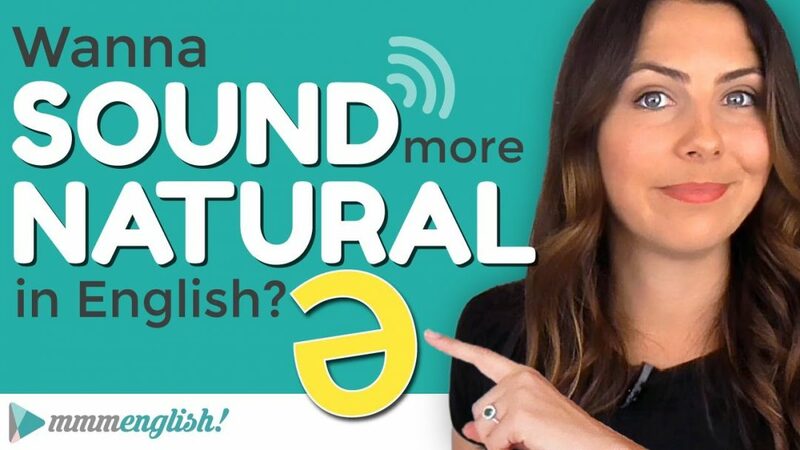 In today’s lesson, we’re going to keep talking about connected speech and that is linking sounds together when you speak English, to help you sound more relaxed and natural. Connected speech is spoken language, that is continuous. The English spoken by native speakers in normal conversations. We speak quickly without pausing between words. And there is often a huge difference between the way that words are pronounced in isolation, on their own, and the way that words are pronounced naturally in a sentence using connected speech. When words come together in a sentence, they often affect each other. Words push together, some sounds disappear or they change completely. So listen again without connected speech. It’s really choppy, not like a native speaker would say it at all. That’s much better. Using connected speech, you’ll sound more natural and relaxed. And by learning and understanding how to use connected speech, you’ll not only improve your pronunciation but you’ll also train your brain and your ears to understand native English speakers more easily when they speak. 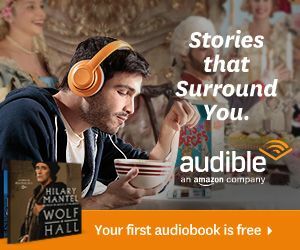 You see, connected speech and linking sounds are exactly what allows native English speakers to talk so fast. Spoken English is not always this clear. Most English speakers just don’t speak as clearly as I do in these videos. In fact, I don’t always speak this clearly either. And I know it’s difficult for you when you’re listening to a native English speaker, to hear where one word ends and another begins, right? This is part of connected speech. The good news is the way that sounds change in spoken English is not completely random. There are a few common rules and regular situations where linking occurs so it’s possible to study it, to learn it. Have you already checked out this lesson yet? Last week I talked about consonant to vowel linking in spoken English: how words that end in a consonant sound link to the following word if it starts with a vowel sound. The trick to remember with linking is that we are talking about sounds, not letters. So don’t let your eyes trick you, we’re talking about sounds linking together. Speaking naturally in English is really only a skill that you can develop through practise yourself by listening to native English speakers regularly, imitating them and by trying it yourself. And that’s exactly what we’re going to do today! So get ready to practise out loud with me at home, okay? Like I said, last week we focused on consonant to vowel linking. Would you like a piece of apple? That’s consonant to vowel linking. Today, we are going to concentrate on consonant to consonant linking. So here we have a word that ends in the consonant sound /l/ and the word following also starts in the same consonant sound. So it makes sense to pull together these sounds, right? So that they become one. It’s much easier. There’s no pause there at all. No break in the sound, it’s just one continuous sound. And as much as possible, we want your spoken English to flow like this, for more sounds to be connected rather than adding awkward pauses through your sentence. Now this all seems pretty straightforward, right? Consonant followed by the same consonant. You can push them together and make the sound flow quickly without pausing between those two sounds. Now there are some consonants that can link to different consonants which is a little unusual but when that happens, the sound changes. It creates a different consonant sound. So let’s look at an example. Now let’s speed that up a bit to regular pace. So can you hear that /ʤ/ sound in there? Now if we just say ‘would’ by itself there’s no sound. 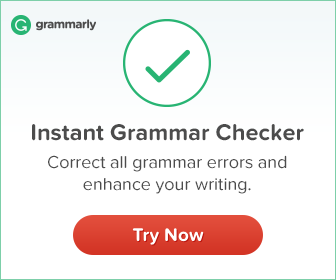 There’s also no /ʤ/ in ‘you’ either, right? So the D at the end of the word ‘would’ can link to the /j/ at the start of ‘you’. But when we do this, it creates a new sound. So actually, in any situation where one word ends in a dip and it’s followed by a word that starts with a /j/ often it can combine to create the /ʤ/ sound. So as the auxiliary verb ‘do’ reduces down to just the /d/ sound here, we can also link it just like the other examples to say: Do you wanna? And check out how that ‘to’ reduces down to the schwa sound. Instead of ‘to’ it’s /t/ The schwa is another important feature of fast connected speech in English, in spoken English. So if you need to check out what the schwa is, maybe have a reminder, this whole lesson here focuses on the schwa sound. It’s a good one to watch next. See? There are so many really common word combinations there, ones that you can definitely start practising right now, today even in simple conversations. And there you have it, they are the simple principles of consonant to consonant linking in spoken English. But now I think we should practise a little. Do you want to practise a little with me now? We’re going to combine what you learned in this lesson with consonant to vowel linking from last week’s lesson. Okay so this is going to be a little bit of revision too from that lesson. I’m going to add a sentence up on screen right here and all you need to do is write the sentence with the links included so that you can practise saying it quickly and link the sounds together wherever you can. Okay? Do that visually on the screen. We’re going to do the first one together but for the rest of them, I want you to write your answers in the comments and I’ll come back and check if you’ve got them all right later on, all right? Ready? She hates sandwiches with avocado. So here in this sentence the /s/ at the end of ‘hates’ pulls together with the /s/ from sandwiches. And the /th/ sound can link to the following vowel sound. All right, now it’s your turn. Listen to me say each sentence, listen carefully for the linking sounds. And it’s your turn so write them into the comments. Write the words into the comments and make sure that you’re practising each one out loud as we say it together, all right? Did you get a new watch? Where can we link here? You’re right! We can link there. She’s always saying she’ll live to a hundred and one! Where can we link? So there’s a cheeky little vowel to vowel link in there too, by the way. If you know about those. But that’s next week’s lesson. Make sure that you subscribe to the mmmEnglish channel and you click the bell so that I can tell you when that lesson is ready for you. We will focus on vowel to vowel linking next time. Where can we link? Where can we connect two consonants or even connect a consonant to a vowel? Yes, we can definitely reduce ‘do you’. To be honest, that T as well, will almost disappear. So we can definitely hear that stop T. My tongue is in the position of a T. But we don’t release the air after it. That also makes it quicker, makes it faster to say words when we don’t release the air after them. We can link ‘one’ and ‘of’ together. The consonant sound to the vowel. And native speakers may not even pronounce that /v/ sound. You could reduce all the way down to a schwa. Nice job! Lessons like this one always require practise so please make sure you come back and review it regularly to remind yourself about how linking occurs in spoken English. And actually use it while you practise. 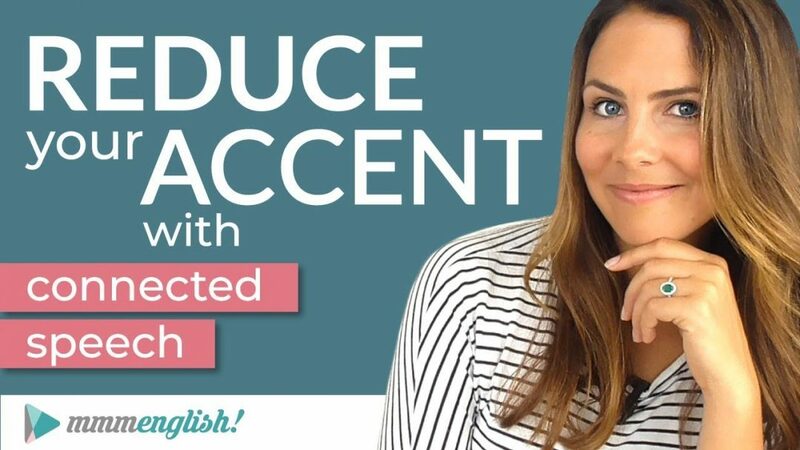 And if you want to practise right now, then go and check out that imitation lesson right there because it will help you to work on your pronunciation and practise connected speech. Or try something completely different. I’ll see you in there! Thanks Emma. She teaches very good. She’s good teacher. Thank you, Emma, for this lesson. Needless to say that it’s always a pleasure to follow you. Perhaps you could answer this question: Am I right if I say that the syllables in the word “English” are: ENG + LISH and not EN + GLISH? Most students of the English language around the world pronounce the G and say -GLISH, which in my view would be incorrect. Thank you again for your videos and fabulous lessons!